The trip to Aviemore took us past Lochleven and Blair Castles, so we stopped at both to get our share of still more castles! There is no longer a castle at Loch Leven, just the ruins of the castle that used to sit there. But the ruins give you a good idea of what it must have been like for Mary, Queen of Scots, who was imprisoned here and forced to abdicate the throne. She was kept in a room at the top of the castle. Judging by the ruins, it was never a very large castle, and was built on a small island. She did eventually escape from the island, which must have been no easy feat. Adrian’s family has some kind of tie to Blair Castle, so we were keen to visit it to see what it was like. More like a stately home than a castle, it was nevertheless beautiful and a little unusual! The walls in the entrance hall are covered with swords while the main hallway has antlers all the way along forming a kind of guard of honour the full length of the hall. While the men had a coffee, the mother-in-law and I went for a tractor ride through the grounds. As it turned out, the ride wasn’t quite what we had imagined, we thought it would take us through the grounds of Blair Castle, which are meant to be quite beautiful, instead it took us outside the castle grounds and into the surrounding grounds. We stopped to feed some deer, but weren’t allowed to get off the tractor, and while we could see what looked like the remains of a church in the hills nearby and went past a number of other buildings, the driver provided no commentary so we had no idea where we were, or what we were seeing. We arrived in Aviemore and after a quick stop in the town headed straight to our hotel, this time we were staying at the Hilton. While it was a little way out of the main town, it was a fantastic hotel for families – it had all kinds of activities and parks for kids. 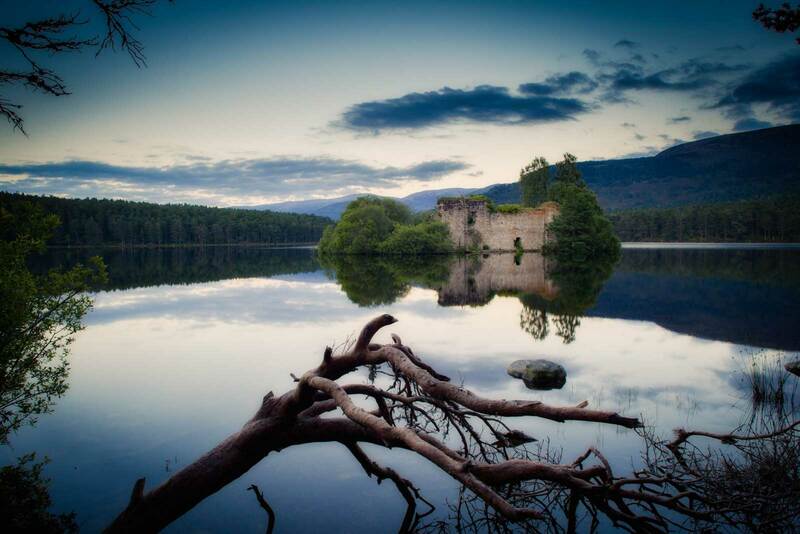 That night Adrian and I headed out to Loch An Eilein to see the ruins of yet another castle, this time the ruins of a 13th Century castle in the middle of the lake. The mirror images on the lake were just beautiful. Again, it appeared to be quite a small castle, but the whole setting – the lake, the ruins, the surrounding forest had a beautiful, serene feel. One of my favourite places in Scotland is Drumnadrochit – purely for the sound of the name. I love it. We stayed at Lochend, just between Inverness and Drumnadrochit at the Old Manse bed and breakfast. Set on the road with beautiful views over Loch Ness, it is a lovely b and b. After a trip down to Fort Augusta, a gorgeous small town with a really interesting series of gates across the river, we took a cruise on the Loch in the hope we would spot Nessie. We didn’t of course, but our captain on the boat provided a very interesting commentary in his best Sean Connery voice. 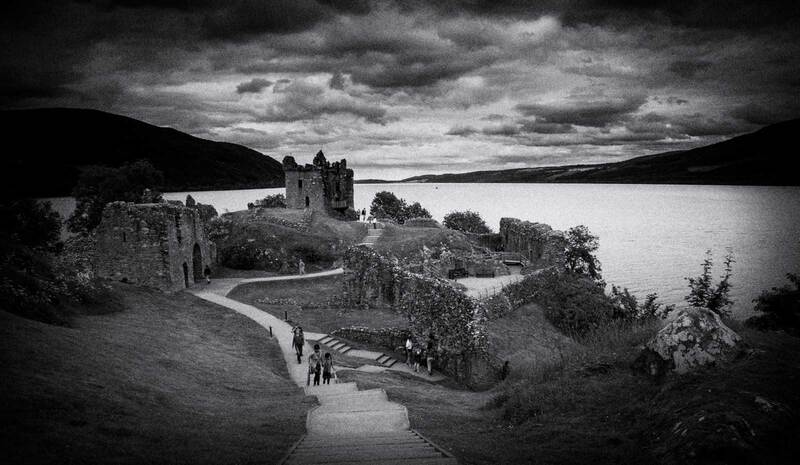 He believed he had seen something that would account for Nessie and had a photo to prove it. Our host at the B and B recommended we head out to Colloden Battlefields, so we headed back through Inverness and out to the fields. The visitor centre would have to be one of the most interesting and best laid out visitor centres I’ve been to. The fields themselves are just open expanses of fields, but as the site of the battle of Culloden, they have a tremendous history. The site provided the backdrop to the Jacobite rising in 1745 when Bonnie Prince Charles led the Jacobites into battle against the Hanoverian army. 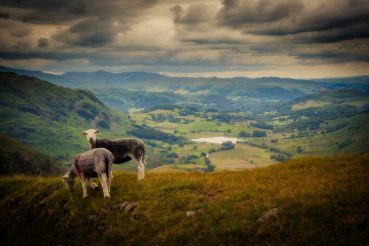 The visitor’s centre walks you through the events leading up to and during the battle, from both sides. After a short stop in Inverness for lunch we made our way back through Drumnadrochit – yep just love it – and onto Urquhart Castle. Ade and I had visited the castle 10 years ago, but it was completely different this time around. 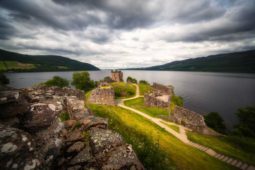 The ruins of course were the same, but since then they have built a huge visitors centre on the hill overlooking the castle and the Loch. Previously we had bought our tickets in a tin shed! Now there is a big visitors centre complete with a theatre, café and gift shop (there’s always a gift shop!). 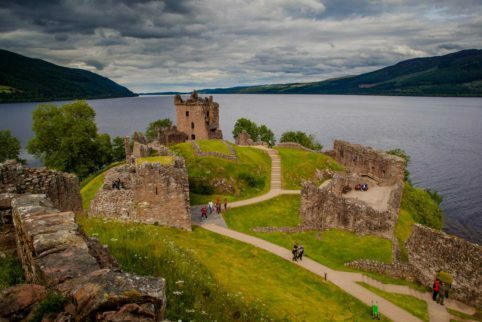 After watching a short video of the history of Urquhart Castle and seeing what it probably looked like back in the day, the screen moves aside and the curtains pull back to reveal a giant window overlooking the castle ruins. 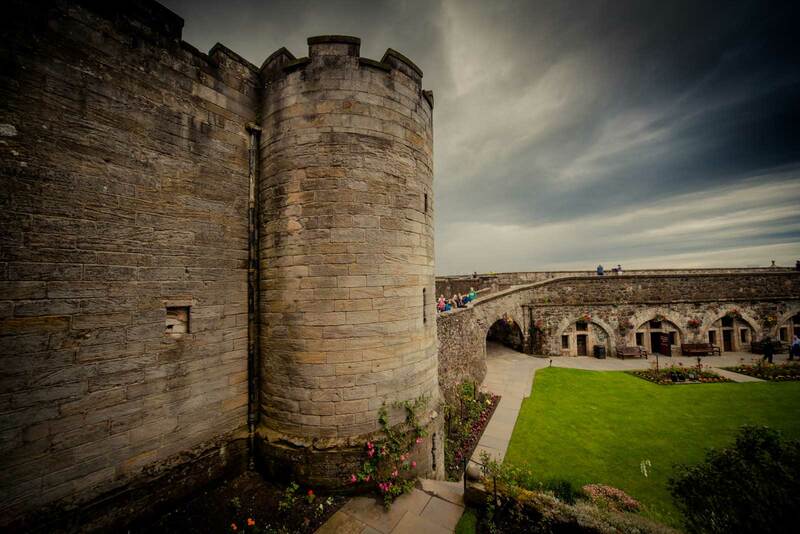 It is a stunning setting and fantastic introduction to the castle. We travelled the length of Loch Ness and headed to Fort William, but still no trace of Nessie! We arrived early in Fort William, but headed to Westhaven B and B anyway to see if we could check our bags in. The owner wasn’t ready for us and was a little disturbed that we had arrived so early. Eventually she let us leave our bags there with some tips of what to do in town. It poured with rain so we ran from shop to shop trying to stay as dry as we could. Fort William is a nice town, but the centre is full of nothing but secondhand shops and shops selling coats! 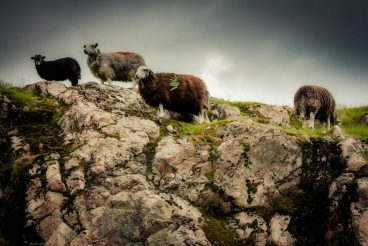 But the real reason to visit Fort William is to climb the mountains – Ben Nevis and Ben Lomond are both nearby. Unfortunately the rain meant it wasn’t a good day for walking up a mountain, or taking a cable car. 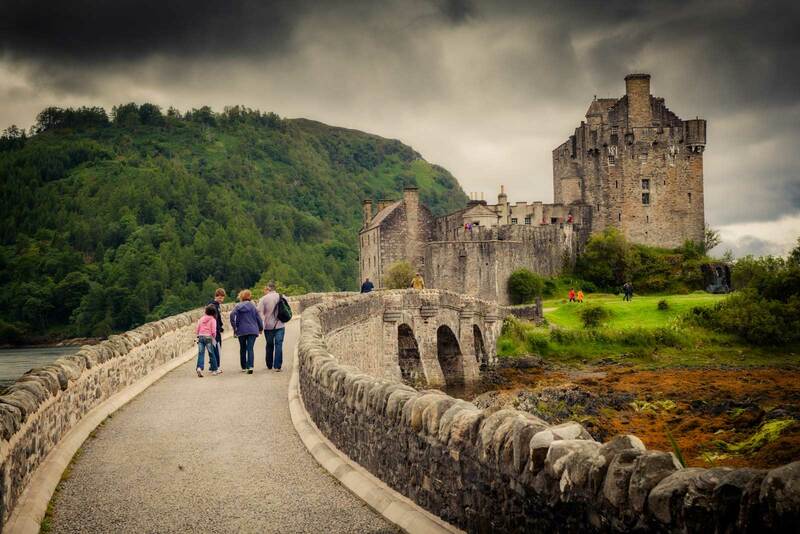 Instead we headed over to Eileen Donan Castle. This castle was rebuilt at the beginning of the 20th century, but the attention to detail is so remarkable, it looks like it must still be the original castle. The family still own it, and stay in part of the castle over summer, but open the main rooms up to tourists. 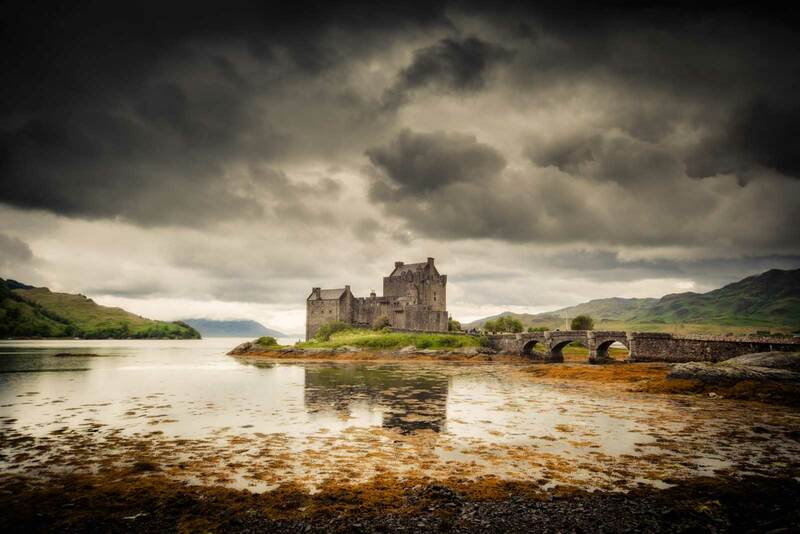 Eilean Donan Castle in Scotland. 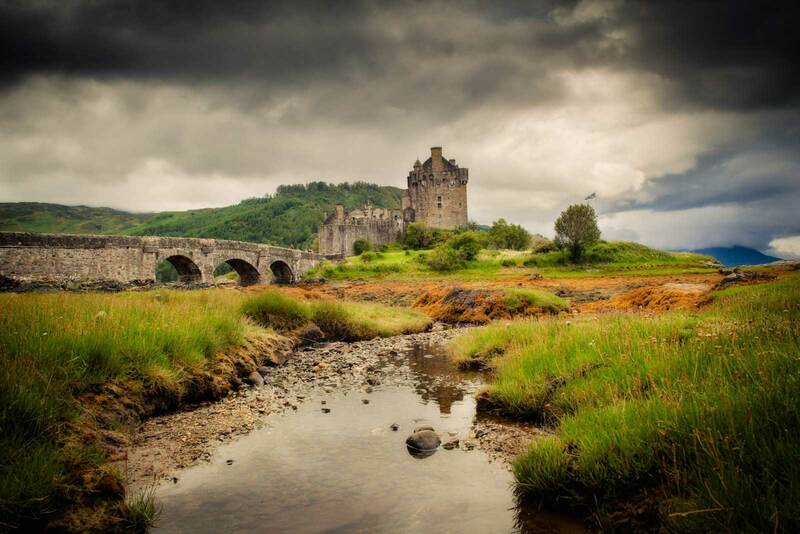 The grounds are overgrown with weeds, but it has a feel of an authentic castle and has been used in many movies including Highlander and Maid of Honour. 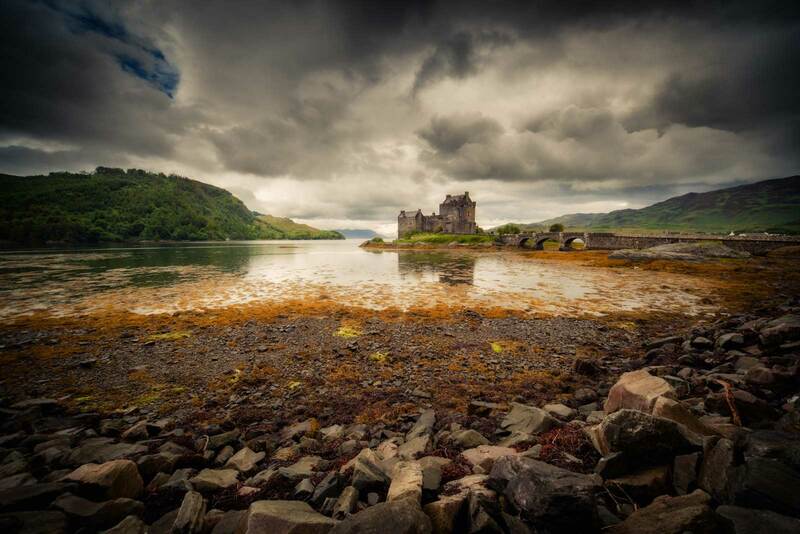 It is a long drive from Fort William to Eileen Donan Castle – about one and a half hours, but the scenery is stunning. Waterfalls pour from the mountains that surround the road. In hindsight it would have made far more sense to stop in at the castle on the way from Lochend to Fort William! We were just about castled out, but we had one more to visit – Stirling Castle. 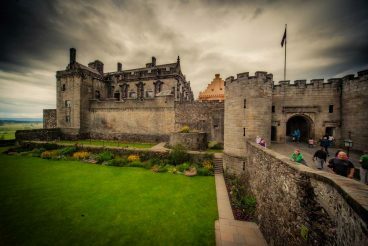 We had been told that Stirling Castle was the most impressive in Scotland and was even better than Edinburgh Castle so we couldn’t very well skip it. We went to Stirling Castle on our way to Glasgow. The drive through the Glencoe Mountains was breath-taking. 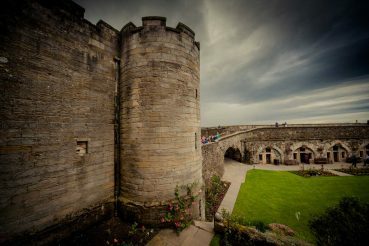 Stirling is a beautiful historic town, and if we had our time again, I’d stay in Stirling rather than Glasgow, but it was good to see Glasgow, however brief our stay was! Stirling Castle is indeed impressive. It sits high on the hill looking over the historic town and must have been quite imposing in its day. 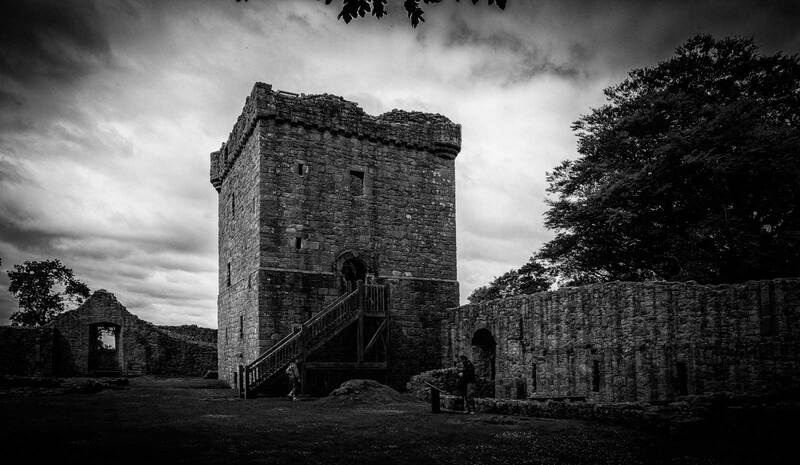 The castle had an amazing entrance, which was one of the most secure in Scotland. You walked through one gate, but there was a second gate to get through before getting into the grounds. You could spend hours wandering through the grounds and the buildings and there is a fantastic activity centre for kids. The castle was reopened not long before we got there after renovations to some of the old staterooms. The buildings themselves were amazing, but there was no furniture in any of the rooms, so you didn’t really get a sense of how they lived – I always like to see how they would have used the rooms, how they would have been furnished etc. Scotland is a stunning country, with so much to see. Despite it’s small size (we come from Australia, remember) it packs a huge punch for tourists – particularly those interested in castles! Join @AllabroadAU on Instragram for more travel inspiration.